STEVEN GERRARD will return to work this week when he takes his Rangers squad to their winter training camp in Tenerife. He does so off the back of a 1-0 win against Celtic in the Old Firm game, a well-deserved three points that took his side joint top of the table with Celtic. But Steven will not rest on his laurels. He knows the hard work is only just about to start again for the second half of the season. However, he will be delighted with Rangers’ activity in the transfer market so early in this window. 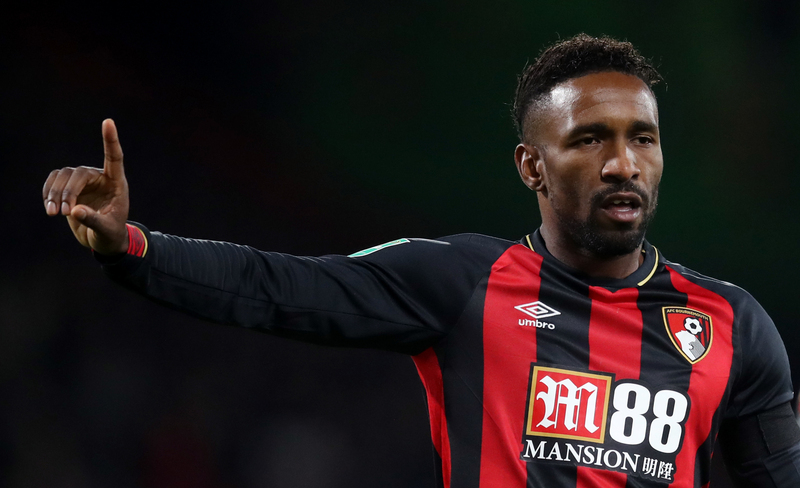 To have captured Jermain Defoe on loan from Bournemouth is brilliant business. He may well want one or two more. But Steven isn’t under pressure to sell and that has to be a positive for him. Jermain may well be 36 and have had a number of clubs during his career, but I’m certain there will still be a hunger and burning desire within him to bring silverware to Ibrox. He will score plenty of goals. Make no mistake, Rangers being able to attract the former England striker will have had plenty to do with Steven. He has a great relationship with players from his club and international career. He had an excellent career as a footballer and his CV isn’t too bad, is it? That’s because Steven was good and knew his stuff, not because he was lucky. More importantly, he is now a football manager and he is performing very well. He is going about his business in the right way and – as I have said since Day One when he was given the Gers job – he will go on to be an outstanding and successful manager. He has been honest with his assessments after every game, and has been critical of his players at the right time. He has also held his hands up when he felt he should have done better. In the modern-day game, it’s quite unusual for a manager to question their players, and it might not sit too well with one or two of them if they have been on the receiving end of the manager’s tongue in the dressing-room or in the media. But as long as the manager is doing it for the right reasons, then I have no problem with it. It might make an individual not have the manager down as his favourite person. But that shouldn’t matter. At the end of the day, even if you don’t like the guy who picks the team, there should always be a desire within you to do well for yourself, or your family, or the supporters, or the person who signs the wage cheque. Surely, giving 100% in front of 50,000 fans at Ibrox should be enough. I’m certain Steven and his backroom staff will have been getting a buzz from managing in front of such passionate supporters. And they will need that same backing in the second half of the season. In terms of the report card for his first six months at Rangers, he has made his mark. During his break over the past few days, if he took a moment or two to reflect, then I hope he was happy with his work. He should be. He deserves great credit. However, he does face a formidable opponent in Celtic. They have been the champions for the past seven years and they have a squad of players and a manager used to winning things. Losing to Rangers last Saturday was a setback, but they remain top of the league, level on points, with a game in hand. They have also won the League Cup and are in the last 32 of the Europa League. Panic? No, not for me. Sure, you could say without fear of contradiction that they should have five or six more points on the board from their league games. Their away form hasn’t been great and dropping points at St Mirren, Livingston, Motherwell, Hibs, Hearts and Kilmarnock was fairly unexpected. I would imagine they couldn’t drop the same amount of points on the road in the second half of the campaign and I still expect Celtic to make it eight titles on the trot. They need to win more games away from Parkhead. Brendan Rodgers will be well aware of this and he will want to improve his squad as best he can in the next three weeks, with Oli Burke a start. His board have been hugely supportive in the past, and I expect that to continue. They have been used to more of a points cushion in the past two years – but that could make them even more dangerous. Some people have been questioning them, and that usually sparks a positive response from everyone. That’s why I still give the edge in the title race to Celtic. I expect it to be mightily close but they are the favourites with the bookmakers and I agree with that. But I also can’t completely dismiss Kilmarnock and Aberdeen. They will both have a huge influence on proceedings. Steve Clarke has been brilliant and they will not go away. They are in the mix and they will continue to do well. The same applies to Derek McInnes and the Dons. All in all, it’s great for Scottish football.